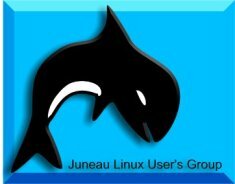 Welcome to the Juneau Linux Users Group! Have you ever wondered what all those penguins were about? Have you got your hands on your first distribution and need some questions answered? Do you have a broad-band internet connection that you need secured? We can help answer questions you have about Linux and how to use it at home. Do you represent a small business or non-profit that needs to stretch their computing budget? We can help you learn how to implement cost-effective solutions to many computing needs for general office use, including interoperability with other well known operating systems. Internet and web services can also be built securely and cheaply using Linux and other free operating systems such as OpenBSD. If you're a guru (or just know your way around your favorite application), the Juneau Linux User's Group is a local forum where you can exchange ideas with other Linux users in Southeast Alaska. If you like, you can help teach others how to use Linux at work and at home. Regardless of your skill level or your interests, join in the discussion! Feel free to send us an EMail with any questions you have. We also have a mailing list you can join. Our September meeting will be held in the large conference room at the Downtown Library on Mon., Sept. 19, 2011 from 6 to 8 pm. We will see a demo of open source software for the Kinect. If you have a favorite Linux topic, and would like to see a presentation, please join the mailing list and let us know. If you would like to give a presentation, we will schedule you. You do not need to be a professional public speaker - our meetings are very friendly and informal.